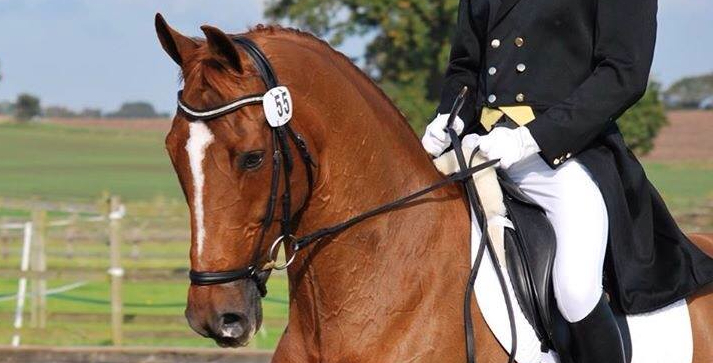 It is well known that our population of racehorses are commonly affected by equine gastric ulcer syndrome (EGUS). This troublesome condition needs to be addressed and managed on all race yards as it is a welfare concern, and can negatively affect performance. But, our performance horses also suffer, as 60% are reported to be affected by EGUS as well as 40% of our general riding horses. 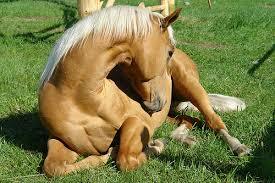 Signs vary, and therefore it can be a challenge to know if your horse suffers from EGUS. Things to look out for include reduced appetite, intermittent colic episodes, a poor coat, irritability when tacked-up or during ridden work, a drop in performance or weight loss. It is also worth pointing out that some horses will show little or no signs when quite severely affected with EGUS, so it can be tricky to detect in some cases. 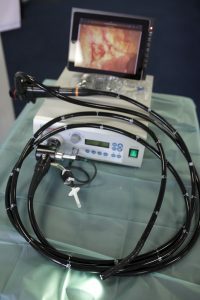 Cheshire Equine Clinic have numerous endoscopes (long fibre-optic tubes), one of which is 3 metres long, and therefore allows us to visualise the inside of the stomach and search for any signs of disease. The procedure is routinely performed with the horse having been starved overnight and under light sedation only. Gastric ulcers are graded from 0 to 4. 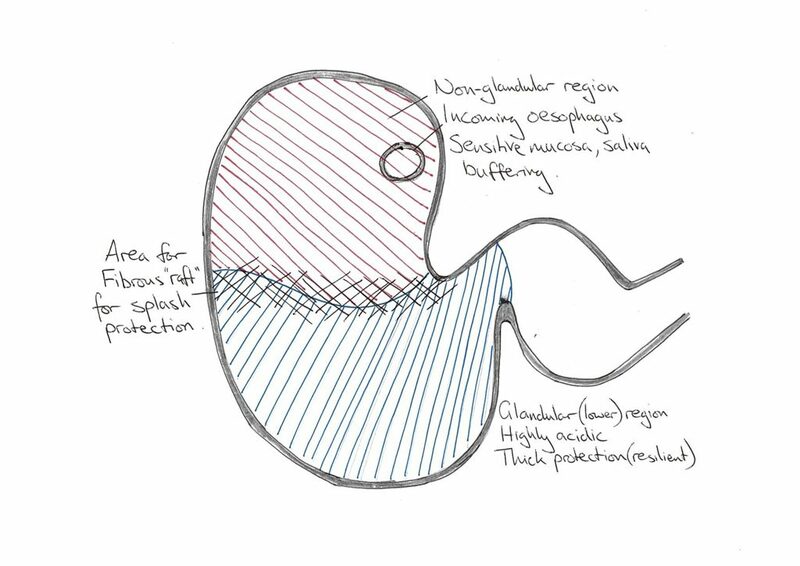 A normal stomach lining is graded 0, while extensive deep ulceration is graded 4. Grade 0 normal stomach lining pink is the glandular tough lining and white coloured lining is the more sensitive upper portion of the stomach. Grade 4 ulceration, extensive areas of deep ulceration. Domesticated horses spend less time eating than wild horses and therefore less saliva is produced to buffer the acidic stomach. It is this acid when not neutralised by saliva that may cause ulceration of the stomach lining. Horses are grazing animals and naturally forage rough pasture throughout the day, and as such, there should be a “raft” of fibrous material consistently in the stomach. This is important to help prevent “splash” of acidic gastric fluid from the tough bottom portion of the stomach to the sensitive more easily damaged upper portion. It is thought that when a horse is exercised without this “raft” of fibrous material within the stomach that this splash affect will occur. Regular exercise creates splashing and modern diets and lush grass/hay means less forage build up in the stomach. need to reduce initially, but often a horse can be kept in work depending on the severity and initial response to treatment. or a more deliberate approach with increased access to the paddock, addition of corn oil in feed and inclusion of chopped forage with every hard feed that is given. Some horses require low dose long-term omeprazole to prevent re-occurrence and I will often give omeprazole to “at-risk horses” prior to periods of increased exercise, before and during travel or other stressful events. It is worth noting that we are trying to emulate the horses’ natural environment and way of “trickle feeding” as best we can. Free access to hay and increased time in the paddock is very important. Grass is natural and is often referred to as Dr. Green or Dr. Grass in many gastrointestinal disturbances. 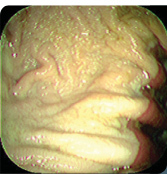 Treatment of gastric ulceration can be expensive. The test via gastroscopy of the stomach will conclusively “rule in or rule out” ulceration and is always recommended to get an accurate diagnosis. Cheshire Equine Clinic are offering half price gastroscopy throughout October & November 2016 – please contact the office on 01829 770999 or office@cheshireequineclinic.co.uk to book an appointment or speak to Stuart Pearson for any advice.